Company is one of two in South Africa accredited by Tupperware. Success comes to shops that are attentive to the changing needs of their customers. Such shops are generally willing to make fundamental manufacturing changes and process additions, when appropriate, to best meet those demands. In a growing number of cases, a shop’s customer wants to receive more than just a component that has been accurately machined. Gantec Tool and Die owner Anthony Barnes has always been conscious of this fact since he established the company in 2008. “I started out primarily as a design studio specialising in plastic product design and development, coupled with mould design. At that stage the manufacture of the tooling was outsourced. During my career as a toolmaker I learnt how to use and take advantage of the CAD/CAM design software available. In fact I believe that I was one of the first in South Africa to use the Vero Visi CAD/CAM software supplied by Software Development in South Africa, and I have remained loyal to the brand ever since. That was over 27 years ago,” said Anthony. When Anthony’s son Jarrad joined him in 2010 they decided to expand and get back into the manufacture of tools, moulds and dies. “Our customers were demanding that we take control of their projects from beginning to end. “We also made a substantial investment in the CAD/CAM design software, which includes full 3D solid and surface modeling, presentation shading, drafting and dimensioning, intricate split line generation and mould build libraries,” added Jarrad. “We were then able to offer a total project management service. 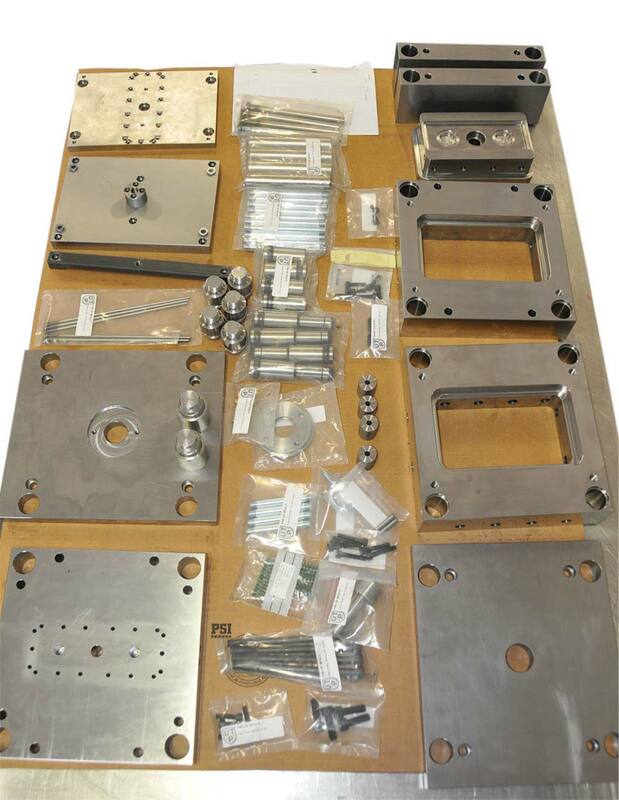 After the design phase, this service includes having development components machined or grown samples made, to manufacturing of the moulds,” continued Jarrad. “We also offered a service to maintain the moulds. Because of the extreme use of moulds in the plastic industry you are always going to have the necessity of repairs. But we felt that the industry standard repairs were not a good enough end result for our clients,” explained Anthony. “This is why we looked at the relatively new process of laser welding, and purchased a German manufactured OR Laser 3300 which was supplied by Retecon Machine Tools in 2012” said Anthony. “The decision was strategic but also a timely investment. It led to many more doors opening and helped improve the company’s performance and competitiveness, while at the same time increasing our customer base for design and manufacture of dies and moulds. This is after all the core focus of the business,” continued Anthony. With the increase in business the company moved to a bigger factory in the same industrial park, which is located in Spartan, Gauteng, in February 2014. The move afforded the company the opportunity to increase its machining capacity to help take the pressure off the company’s existing equipment. “We had been growing at 40% per annum and when you grow at such a rate, productivity is always a critical concern for any and every manufacturer or machine shop. We had already started on a route to invest in the latest advanced manufacturing technologies so it was an easy decision to invest in a DMG Mori Milltap 700, the first joint development from DMG and Mori Seiki. 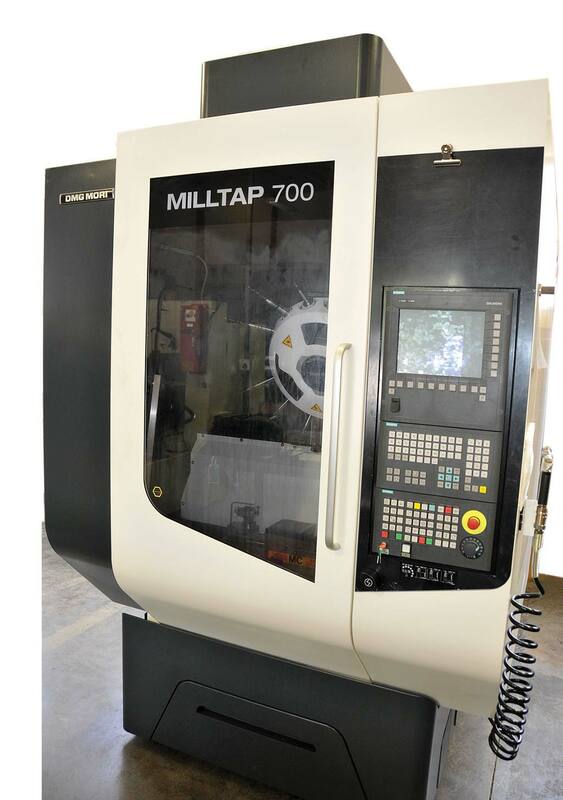 The Milltap 700 is a compact machining centre with tool changes in 0.9 seconds and chip-to-chip times of less than 1.5 seconds, rapid traverses of 60 m/min, a 24 000 rpm spindle, and it is equipped with a Siemens 840D control,” explained Jarrad. 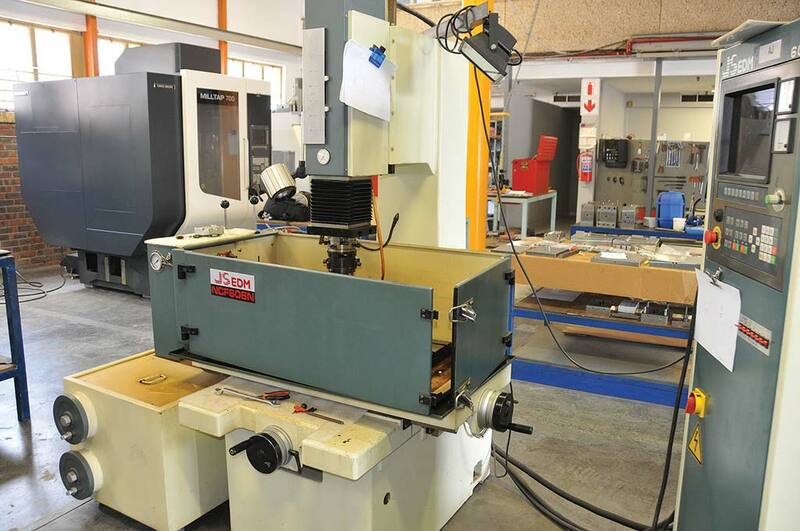 At the same time the company introduced another CNC lathe, a spark eroder and an injection moulding machine so that they could run trials with the moulds they were manufacturing. The company’s services now include component design, development and liaising with client to mould design and mould manufacture. We design and manufacture high-tech moulds for intricate components, including high-speed automatic unscrewing moulds, and incorporation of hot runnerless injection systems. The company’s commitment to continuous improvement and its progressive attitude to investing in the future have seen Gantec Tool and Die branch out and provide moulds for other industries, including closures and packaging. In addition to investing in its equipment, manufacturing processes and systems they have also invested in their people. They recently hired two apprentices. Another development is that the company has formed a strategic alliance with UTP Mould and Die.